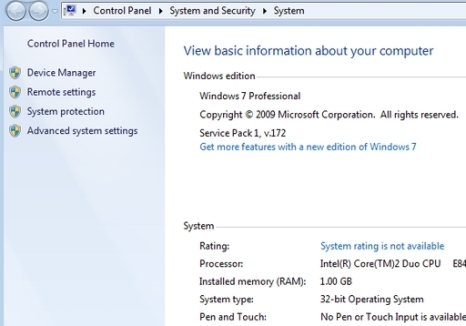 Another build of Windows 7 SP1 (Service Pack 1) has been leaked to the web. The new leaked build of Windows 7 and Windows Server 2008 R2 SP1 (both operating systems have the same code base and use the same service pack) is 7601.16556.100421-1510 v.172, reportedly of the beta 1 (b1) escrow milestone. The SP1 is expected to be released in the last quarter of 2010, a year after Windows 7 RTM wass released. 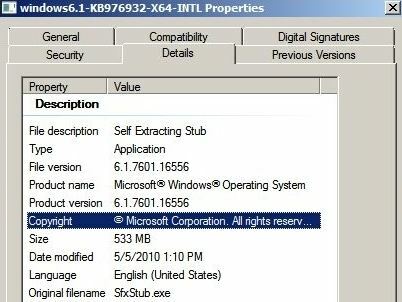 The build 7601.16556 of Windows 7 SP1 was compiled on April 21st, 2010. Here’s the file characteristics of the leaked Windows 7 SP1 Beta 1 Escrow build 7601.16556.100421-1510, together with the torrent to download the SP1 through BitTorrent network. The service pack above works on for any version of Windows 7 or Server 2008 R2, including 32-bit (x86), 64-bit (x64) and ia64 platforms. It contains only wave 0 languages, which English, Spanish, Japanese, German, French. For system not running in the language above, install the English MUI language pack first. Note that after installing the SP1 Beta 1 Escrow above, the time bomb will be planted, with expiry date set to a day between April to July 2011. Microsoft has mentioned that the SP1 only bring minor updates to Windows 7 and Windows Server 2008 R2, where new features will be limited to 2 new virtualization-related technologies: RemoteFX and Dynamic Memory, with an updated Remote Desktop client that takes advantage of RemoteFX introduced in the server-side. RemoteFX intends to make user experience across remote virtual desktops a better one with support for Windows Aero, full-motion video streaming, Silverlight animations, highly-synchronized audio, 3D graphics and applications. Dynamic Memory feature allows Hyper-V hypervisor to make use of physical memory not only efficiently but also dynamically while delivering as minimal an impact on performance as possible. However, words is that Windows 7 SP1 will also bring significant performance boost for BitLocker Drive Encryption, and deliver fix for storage-related performance bugs. Main point is that, while most bug fixes have been delivered via Windows Update, some updates may only appear in SP1.